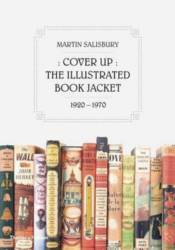 Author Martin Salisbury traces the evolution of the book jacket from its functional origins as a plain dust protector for expensively bound books to its elaboration as an artistic device to catch the eye of browsing book buyers. The book jackets reproduced here reflect the changing visual styles and motifs of the passing century, beginning with the Art Deco period and continuing through Modernism, the playful Thirties, the pre- and postwar Neo-Romantics, the new consumerism and realist subject matter of the Fifties, and the Pop Art of the Sixties. ALITA BATTLE ANGEL OFFICIAL MOVIE NOVEL ALLURING ART OF MARGARET BRUNDAGE DELUXE SLIPCASED ED. SIDESHOW COLLECTIBLES CAPTURING ARCHETYPES ART BOOK SIGHTCADELIC: ART OF MARK WHEATLEY LTD. SIGNED ED.